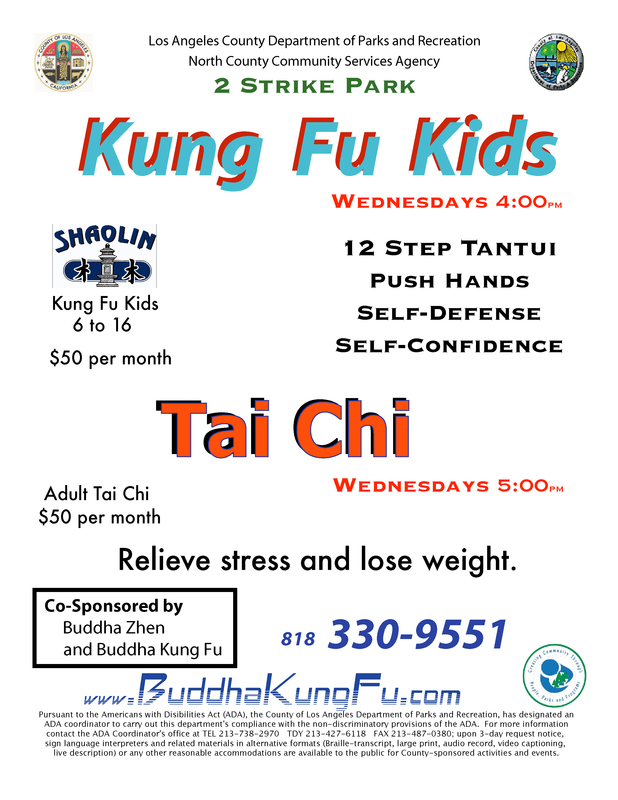 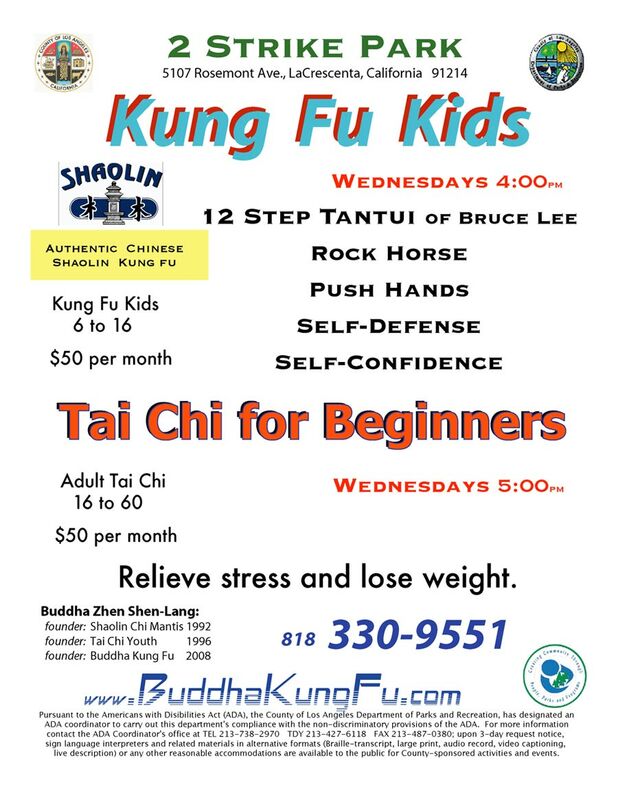 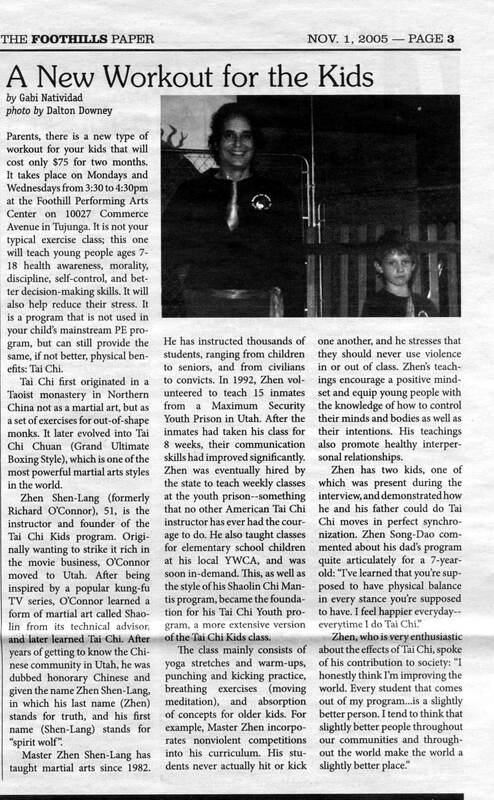 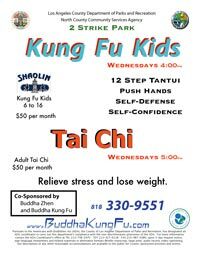 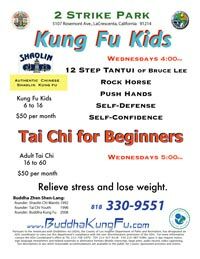 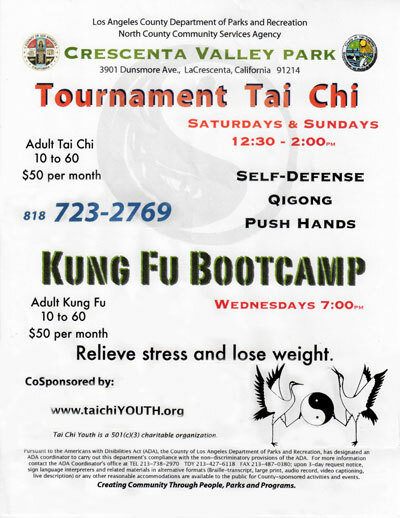 "Cosponsored by TAI CHI YOUTH"
Slogan, "Relieve stress and lose weight." 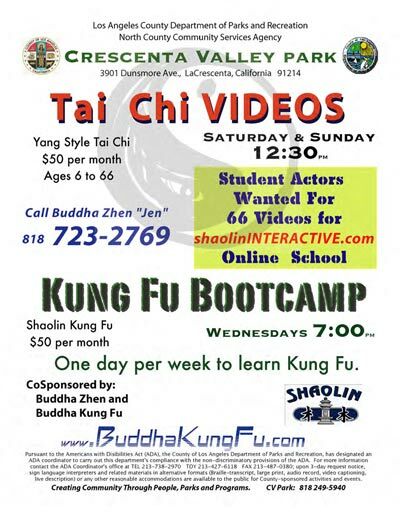 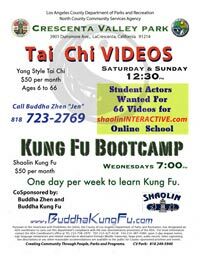 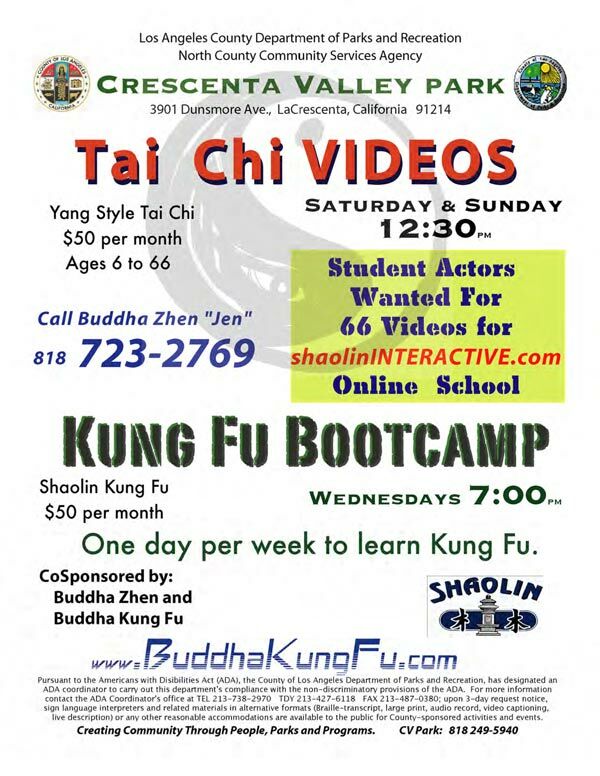 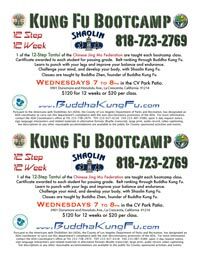 Trademarked slogan, "One day per week to learn Kung Fu.™"
"Student Actors Wanted for 66 Videos for shaolinINTERACTIVE.com Online School." 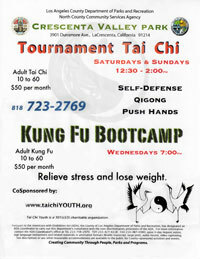 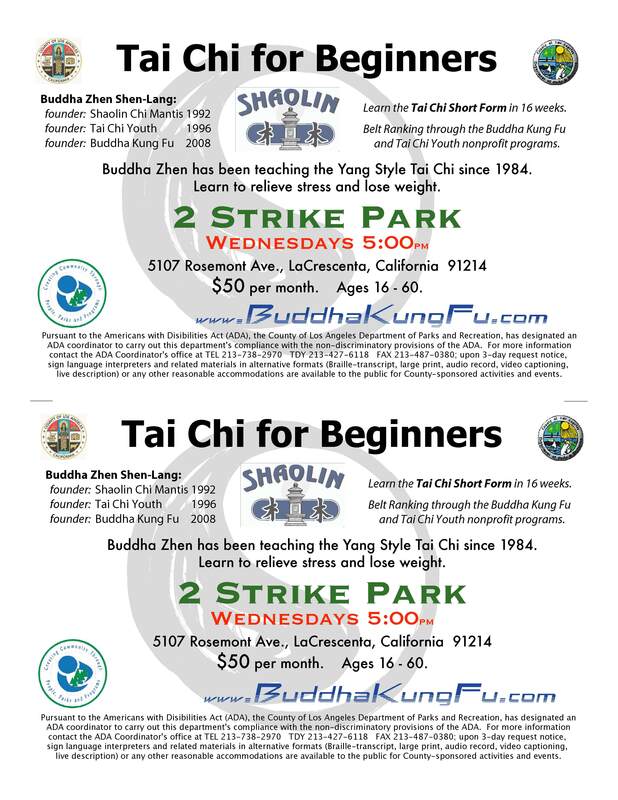 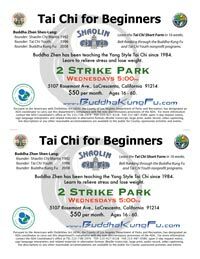 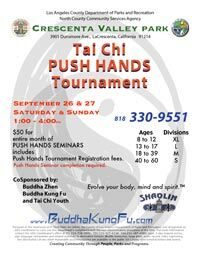 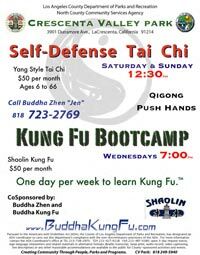 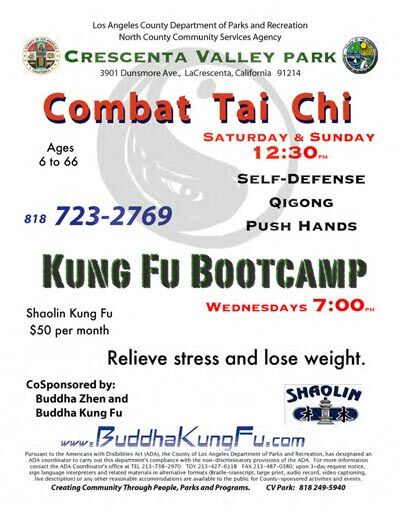 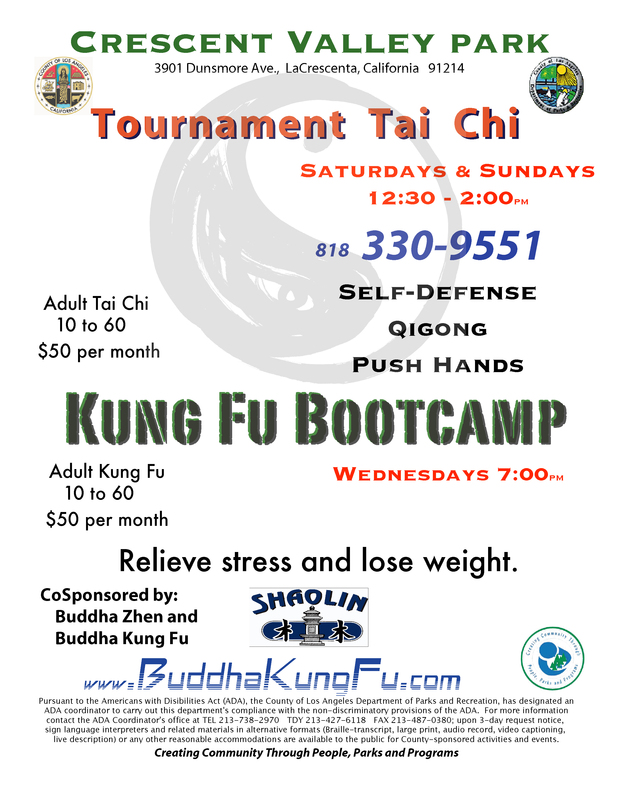 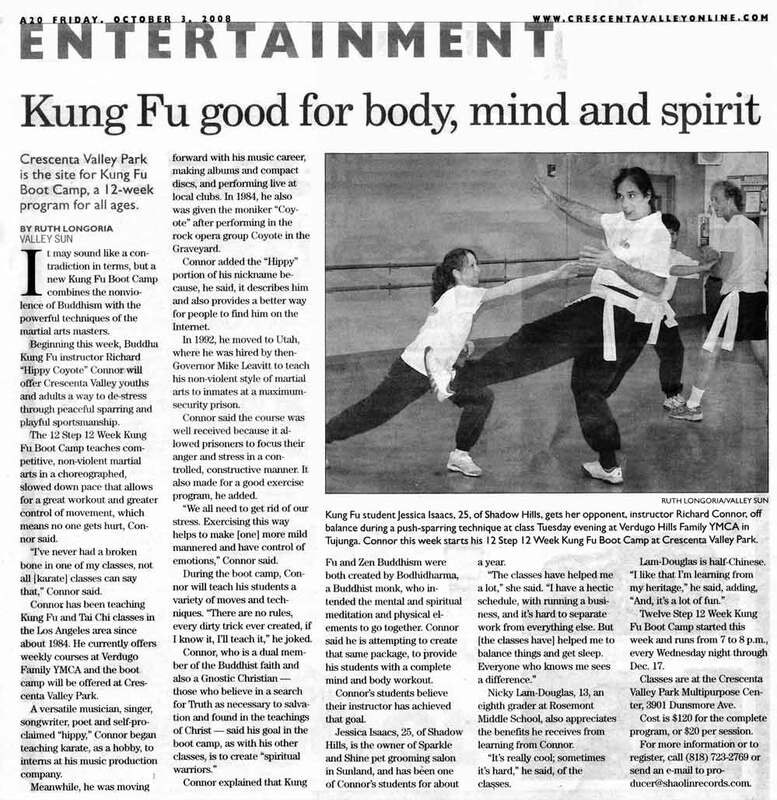 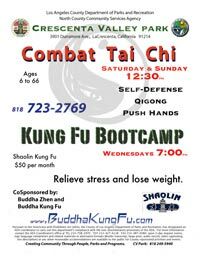 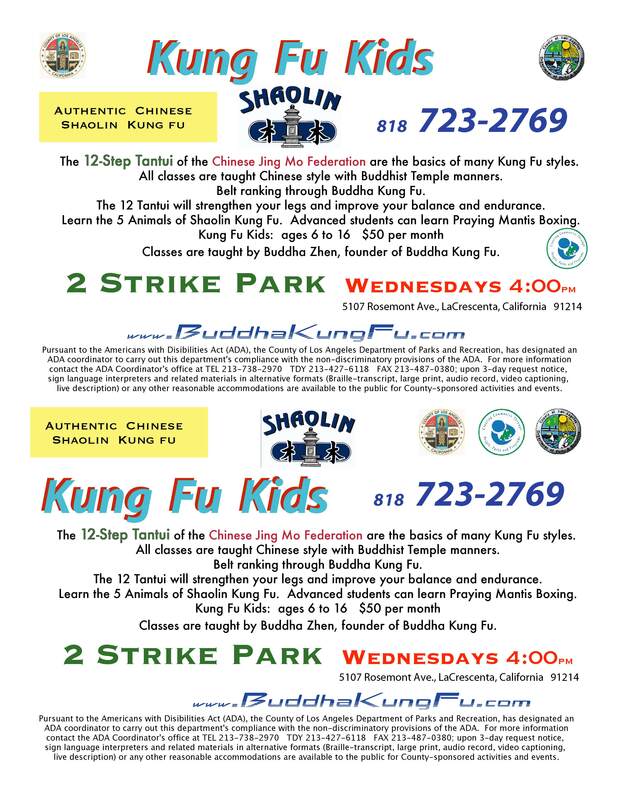 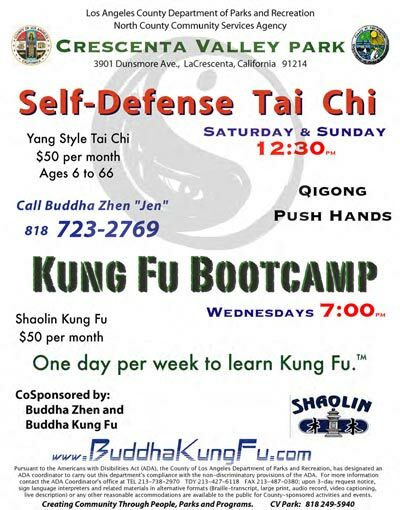 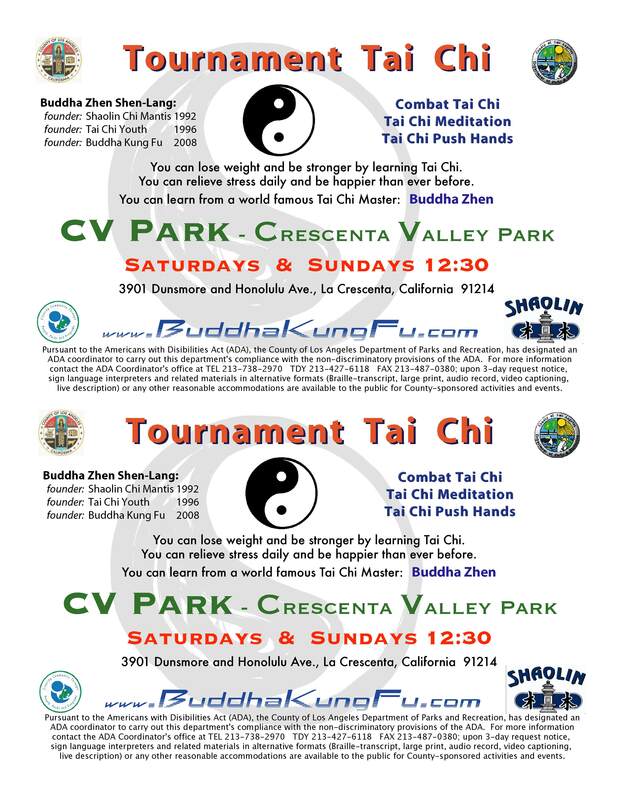 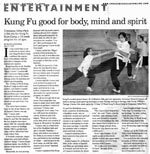 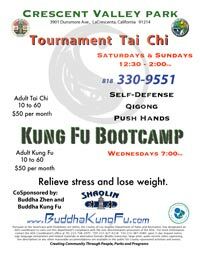 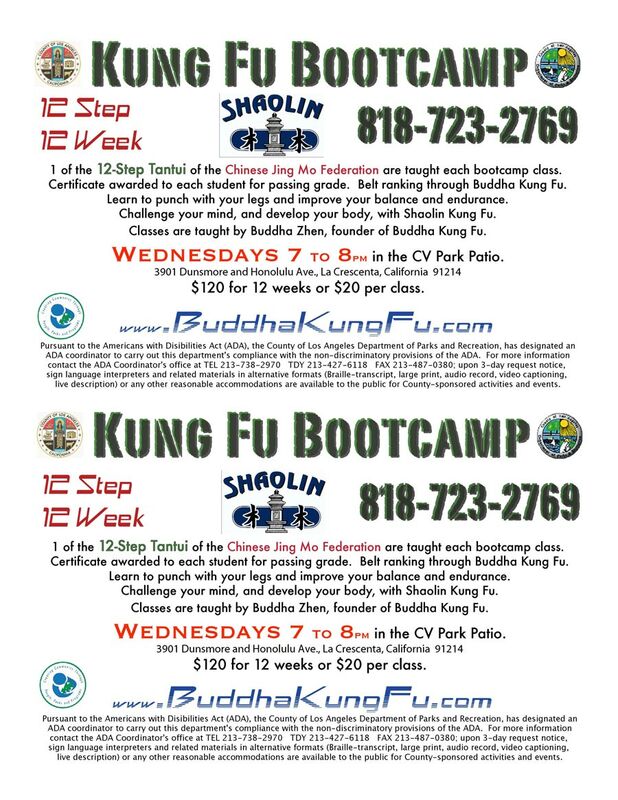 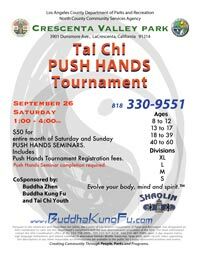 "Combat Tai Chi" instead of "Tournament T. C."
Crescenta Valley Park "CV Park"
Tournament = Sep 26 ONLY. Moved "Ages" and "Divisions" to avoid people trying to cross-reference the two lists when side by side. 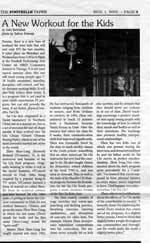 Press Releases are sent to a vast number of journalists and feature editors. 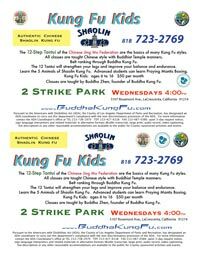 We also have sent out newsletters to our students with more information and scheduling	not	included in	press releases.